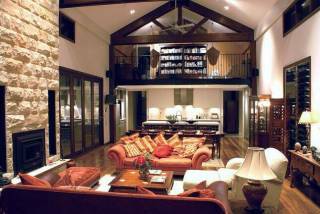 Allawah is a beautiful mud brick and timber home lovingly restored with elegant rustic charm to the fore. 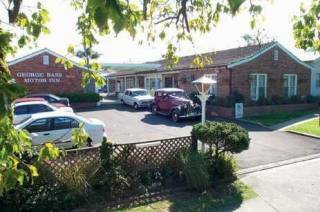 Nestled in the Foothills of Berry Mountain with 5 acres of charming gardens and views across to the classic Kangaroo Valley Escarpments make it a complete relaxing package! There is a well equipped Kitchen, lounge, dining room and a lovely wood fire for those winter stays. There is plenty of parking space and room to play outside in those long summer evenings. The brick paved courtyard is ideal for outdoor dining. 1. OCCUPANCY The premises are let to you the "Primary Guest" for holiday purposes only for the period as stipulated on your reservation confirmation and for the maximum persons agreed with the agent at the time of booking. The Primary Guest warrants that they are 21 years of age or over and that person will be held responsible for the conduct of all guests. 2. DESCRIPTIONS The description of the premises by KVE is given in good faith and no responsibility for misinterpretation will be accepted. No refund is given if you are not satisfied with your accommodation. 3. TARIFFS are current and are subject to change without notice. 4. ARRIVAL AND DEPARTURE The property will be available for occupancy from 2.30 pm on arrival day and is to be vacated by 10.30 am on the day of departure unless prior arrangements are made with KVE. Failure to vacate at the required time will incur a penalty equivalent to one night's accommodation. Keys are to be returned to KVE immediately upon check out according to instructions. The credit card "bond" will be held on booking to cover any additional expenses incurred. This will be held until the premises has been inspected and cleared. The credit card used must be in the name of the person who signs this agreement. 5. PAYMENT To confirm your holiday booking we require half the total value of your booking. If the payment is not paid by your deposit due date the booking will be automatically cancelled. The final balance is due 7 days prior to arrival. Payment methods include, direct debit, Credit card and Debit card. If using a credit or debit card a fee of 2% will apply. 6. SECURITY BOND The guest agrees to KVE holding an amount of up to $1500 as a security deposit against a nominated credit card dependent on the property booked. To be released if and when the property has been inspected, and the release is approved by Housekeeping. The Guest acknowledges that charges for damages or missing items upon departure will be deducted from the security deposit. Any excess damages will be invoiced to the Primary Guest. 7. BOOKING CONDITIONS Advance bookings are accepted by us in good faith on behalf of the property owner. We cannot however accept responsibility in the following circumstances:- sale of property; increase in tariff; alteration of the property; malfunction of any inventory items; property withdrawn from letting; noise; inconvenience or loss of view caused by building construction on neighbours or nearby properties. 8. CANCELLATIONS If we are given more than 30 days notice of your cancelled holiday booking your deposit will be refunded less a $100 administration fee. If bookings are cancelled within the 30 day period no deposit will be refunded unless the property is re-let for the same tariff and same dates, in this case the deposit would be refunded less the $100 administration fee. The same policy applies for reduced stays. If you reduce the length of your stay giving more than 30 days notice your tariff will be adjusted accordingly. If you reduce the length of your stay giving less than 30 days notice of check in you will be charged the full amount. If we are able to re-let the property for the same dates for the same tariff your tariff will be adjusted accordingly. 9. HOUSEKEEPING The premises are to be left in the condition of initial occupancy. Additional housekeeping fees will be charged for properties left in an unsatisfactory condition, (e.g. any rubbish/food scraps left in inside bins), An additional $50 fee will be charged if property left in unsatisfactory condition and if any used items are not clean and put away. 10. RUBBISH Where there are Council bins provided, one for recycling & one for household waste (some properties may not have a recycling bin) please use these appropriately. The bin is to be put out for council collections during the week. Any excess rubbish must be taken to the Bendeela Road Transfer Station in Kangaroo Valley (opening Hours are restricted - check with KVE), any excess rubbish removal required will incur a minimum cost of $33. Some properties are outside Council Collection areas. In this case all general rubbish should be placed in plastic bags and taken with you on departure. Any rubbish left will be charged at a minimum of $33 dependant on quantity and type. To keep costs down please separate recyclables. 11. MAINTENANCE requirements must be reported immediately. The Guest agrees to allow KVE or our nominee to enter accommodation to arrange necessary repairs. 12. CONSTRUCTION:- KVE or the owner will not be held responsible or liable to compensate for building and construction work being done on neighbouring properties. 13. PETS are generally NOT permitted on the premises. Written approval and consent by KVE and the Property Owner is required in the event that a pet stay on the premises. Applications must be made prior to the signing of this agreement. Guests will have their stay terminated immediately if a pet is found on a premise without written approval. 14. NON SMOKING PROPERTIES All holiday let premises are NON SMOKING. Any evidence of such will incur extra cleaning charges. Additional housekeeping fees will be charged for properties left in an unsatisfactory condition. 15. OVERCROWDING of properties will result in the immediate termination of your stay and no refunds will be paid. The number of occupants must not exceed the number stated and agreed for the property at the time of booking. If an excess number of guests have been using the property without KVE approval then a fee per guest per stay will become payable as deemed reasonable by KVE. 16. ONCE the booking is complete and the number of guests confirmed, should extra beds/rooms be used during the guests stay a charge will be made of an extra guest per stay fee. 17. FUNCTIONS/GATHERINGS (unless the property is specifically offered for this purpose) are strictly not permitted and penalties apply. The properties KVE generally manage are for holiday accommodation only. Functions of any sort are not permitted. Immediate eviction will occur and no refund will be given. 18. DAMAGE CHARGES All damages, breakages or losses to the property and/or furnishings will be charged to the Primary Guest. Report immediately any items found to be damaged or broken upon your arrival. All items in the property have been identified and will be checked after the stay. 19. LOST KEYS and safe keeping of property keys are the responsibility of the Guest. If keys are lost, locks must be changed and the Guest will be responsible for reimbursement to the Agent. 20. NEIGHBOURS No Person on the premises shall be guilty of conduct that is a nuisance to the adjoining neighbouring occupiers. 21. BREACH of the any of the above conditions will result in the immediate termination of your stay. Any costs associated with any repair, excess clawing or loss of income as a result of a guest's or visitor's actions, negligence or misconduct will be recovered from the Primary Guest. 22. DAMAGE LOSS OR THEFT OF TENANTS PROPERTY No responsibility is accepted by either KVE or the landlord for guest's property left on the premises. Landlord insurance does not cover the loss of tenant's belongings. 23. BOOKING FEE A $25 booking fee will be added onto each booking. 24. LOST & FORGOTTEN ITEMS Please check carefully before you leave the property, as we cannot guarantee any items left in the property will be found and returned to you. 26. KVE accepts no responsibility for any machinery breakdown. KVE will endeavour to replace, repair or hire an alternative. 27. IN the event of the property being sold and this agreement is cancelled, all deposit monies will be refunded in full.